If you are looking to purchase a new set of tires for your truck or SUV, then you have come to the right place. Truck tires differ vastly from conventional tires in terms of their features and applications. With the variety of truck and SUV tires available these days, the selection is also definitely challenging. Thankfully, we have compiled a list of the best truck tires based on different metrics. Before we review the best truck tires of 2019, let’s discuss the factors you need to consider before purchasing. The first thing you must be familiar with is the type of truck tires available in the market. Every tire has its own characteristics, limitations and performance. Truck tires are generally divided into 3 types: All-Season Truck Tires, All Terrain Truck Tires, and Mud-Terrain Truck Tires. The majority of trucks are factory fitted with the best All Season truck tires. As the name suggests, they are built to do the job in all types of road conditions. However, they lack the performance and precision offered by All-Terrain or Mud Terrain (see below). 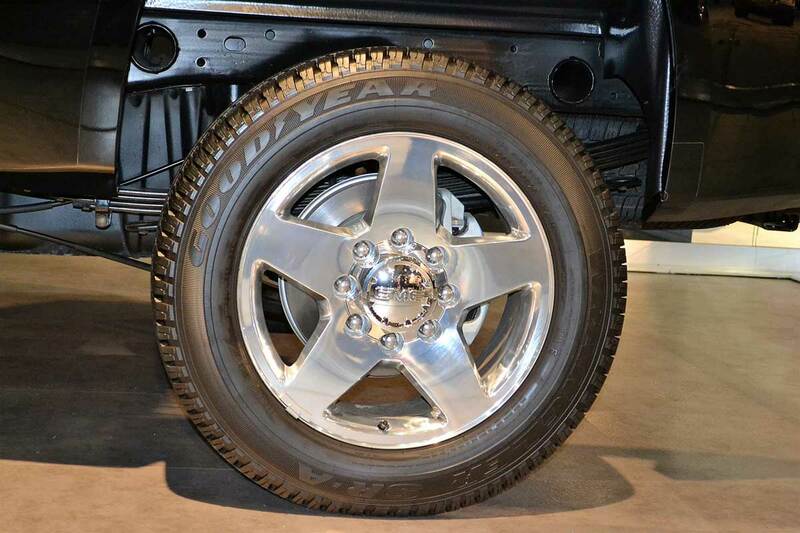 The Best Mud-Terrain truck tires are optimized to offer superior off-road performance. This does not mean you cannot use them on the road. It is just that they are designed to give maximum performance in difficult off-road environments. However, if you are someone who spends 80% of your time offroad, you should opt for the mud-terrain tires. These best pickup truck tires are visibly distinct; they feature aggressive tread pattern and mega sipes as well as stone and mud removers that help eject debris picked from mud. The type of tires you should choose for your truck or SUV depends on your use. However, if you want to mount up a single set of tires and forget about them, go for all-season. And if your time is divided on and off-road, or places where the road conditions are not ideal, choose all-terrain tires. Finally, if you want the best off-road performance, the mud-terrain tires are ideal. Their tread pattern and the tire compound are tailor-made to perform in the most challenging conditions. Depending on the size of your truck, you need a pair of tires that fit your truck. And do not commit the mistake of purchasing small or large size tires. They put your life in jeopardy. Unlike traditional tires, the tread of truck tires is deeper and cover more area. This enables the tires to dig into the terrain, offering excellent traction. This is perfect for paved terrains. Aspect ratio represents the tire’s sidewall as a percentage of the width of the tire. However, if you drive a 12-wheeler, it is important you go for tires with a larger aspect ratio, normally between 65 and 75. Now that you know what to look for when purchasing a fresh set of rubber, let us review the best truck tires of 2019. 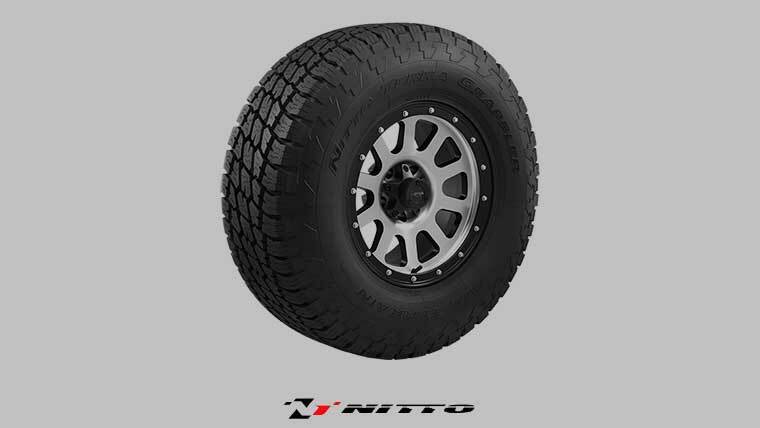 Nitto’s Terra Grappler is a set of all-terrain tires which perform fabulously off-road and in all weather conditions. Since their introduction in the market, and they continue to top the charts in various magazines because of the tremendous balance they provide in both wet and dry conditions. Moreover, the sipes are big and deep, organized meticulously to remove water and debris. The tread rubber compound is robust and thick, thus avoids punctures and wear & tear. Simply put, the Terra Grappler is also fantastic multipurpose truck tires. These tires offer better grip and traction than many other all-terrain tires. The reason why we like the Goodyear Wrangler is pretty simple – they also have some of the best tread design, optimized to perform in mud, snow, pavements and just about anywhere. However, the best part is, these tires are virtually noiseless and offer better fuel economy. All in all, this is achieved by the compact lug spacing, which also lowers rolling resistance. These are also lightweight, which makes them the best truck tires on highways. Lightweight and noiseless. They hit home with most mid-sized and large trucks. 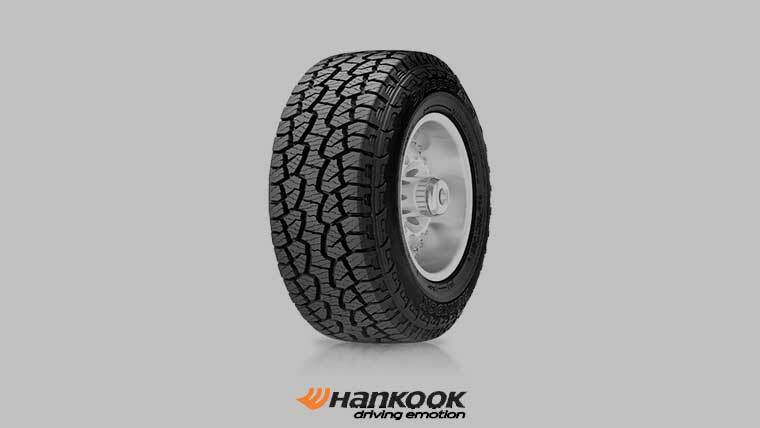 The Hankook DynaPro ATM RF 10 is formidable in its appearance and which is not the only reason why we label it as the best off-road truck tires. 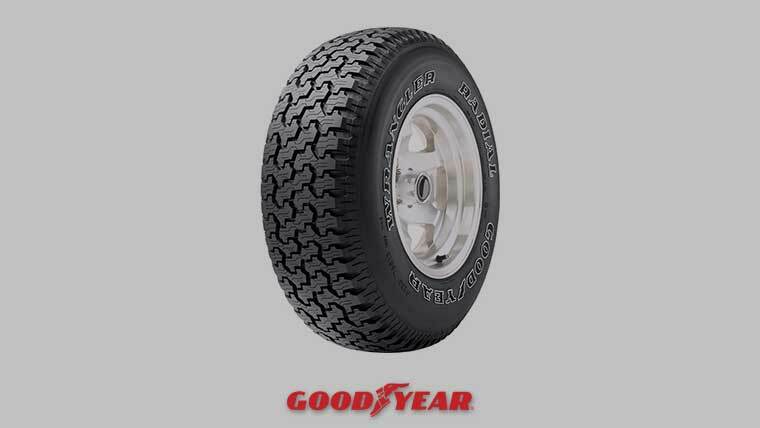 Because of ruggedness and strong rubber compound, the tires are immune to puncture. Moreover, the treads are deep, complemented by two-step sipes. The ATM RF 10 has a 7-8% wider footprint, which improves road grip. Our pick for the best truck tires for offroad owing to the wider footprint. 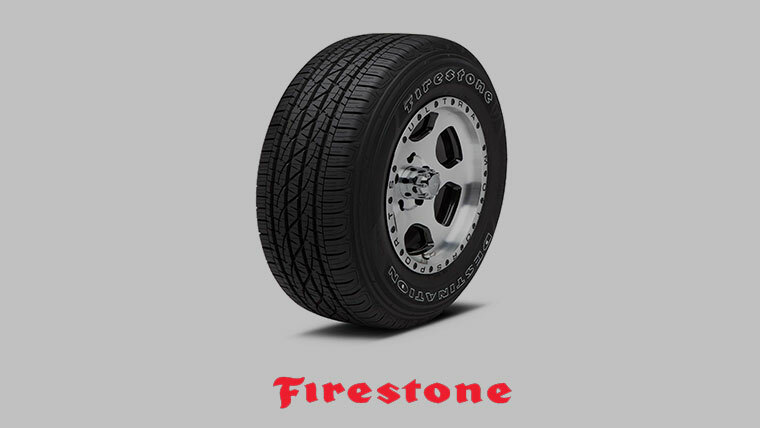 The Firestone Destination resembles military style tires. The focus is to improve off-road driving in challenging environments. The treads are extra-large to cut through wet terrain while the sturdy shoulder lugs offer precision around corners. The durable rubber compound is highly resistant against aquaplaning. The tires are constructed using Dura-loc technology to withstand damage from curbs as well as resisting highway hazards. 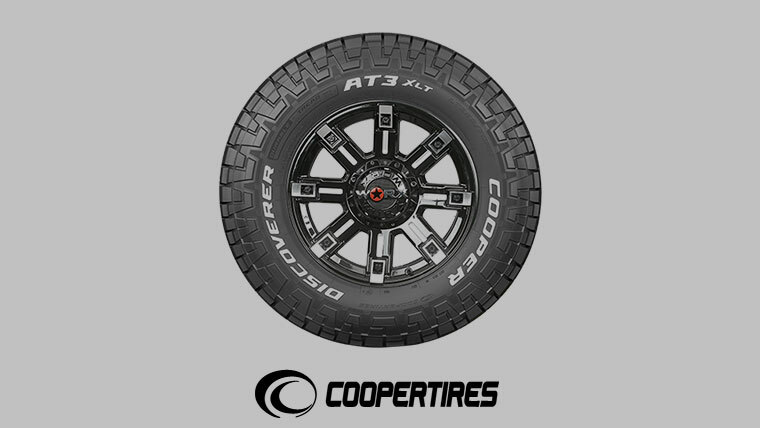 Our second all-terrain entry in the list is Cooper’s Discoverer A/T3 Traction Radial Tire. The reason for picking this tire is simple – we found its performance exceptional on both off and on road at very a low price point. With the Discoverer, you do not have to worry about potholes or pieces of rubble in your way. The silica-based tread compound helps to eject rubble. The dual draft tread combined with a broken rib center enhances traction without compromising on handling. All in all, these are excellent on and off-road tires by Cooper. Best on and off-road tires on a budget. Silica-based tread compound to maneuver wet surfaces, dual draft tread, 5-rib design, and the broken center rib. Your truck is huge, so it is imperative you park it in space from where you can take it out easily. As you leave the truck, be sure to always turn around and have a good look at your truck. Sometimes, we are guilty of leaving on the flashlights and indicators. Imagine you are in the middle of a journey and heading toward a destination, which is another 100 miles away. The last thing you want in such a scenario is to run out of fuel or suffer oil leakage. 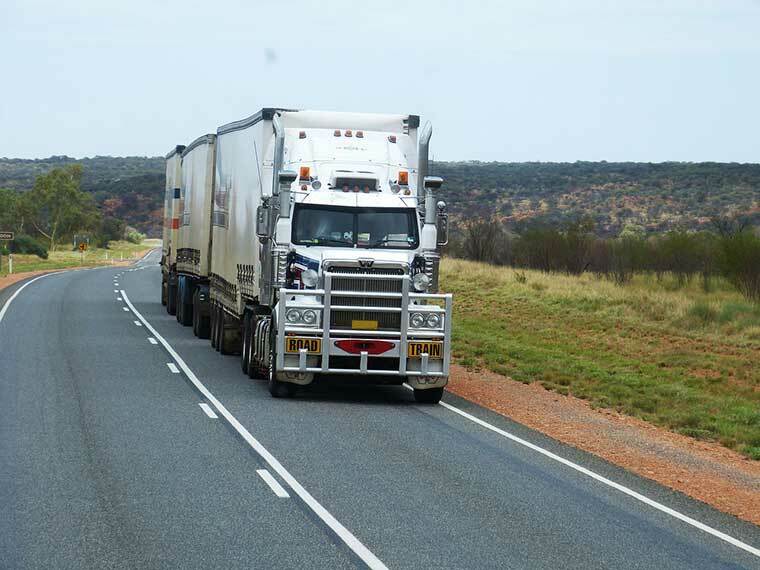 Before starting your journey, and always make sure you check your truck’s transmission oil, brake oil, radiator coolant, and the condition of tires as well as estimate the amount of fuel you will need. Remember, if your truck trailer encounters a problem, you cannot tow it! Before going out on a long itinerary, make sure you do not consume any drugs or alcohol. They can also severely impair your judgment, leading to a major catastrophe.